The RLE S4000 is ideal for canopies, parking garages, walkways and recreational areas where high quality illumination is required. Designed for flush ceiling mount, pendant mount or wall mount with cast aluminum arm and canopy. 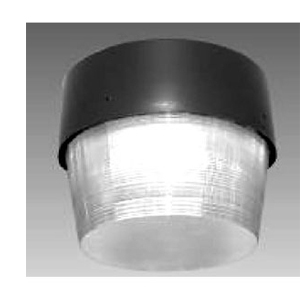 .090″ thick spun aluminum housing for durability and corrosion resistance. .125 thick multi-patterned injection molded clear prismatic drop acrylic and polycarbonate with ultraviolet inhibitors to minimize discoloration and add strength. Also available with flat prismatic tempered glass. Exterior housing is finished in textured architectural bronze. Optional textured black, white and silver painted finishes. All interior surfaces are finished in high gloss baked white enamel for maximum reflectivity and illumination. 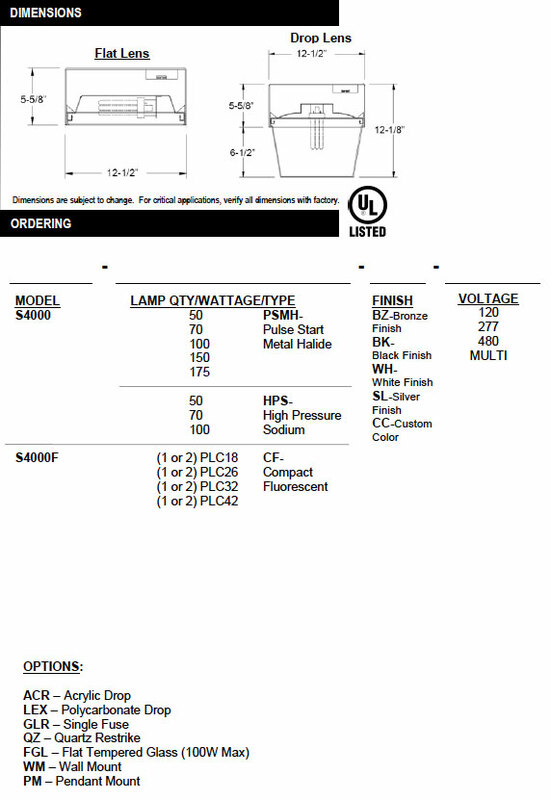 UL listed for wet location (Flush ceiling and wall mount) and damp location (pendant mount).